You will find Sunny 11yrs and Gopi 9 yrs loitering around in the upscale phase 3 of Gurgaon Cyber City with a shoe brush pleading office passerby to get their shoe polished, so that they can have money for food. Their rucksacks are staked with shoe polish, brush and other accessories instead of books. Sunny & Gopi both came to the city of Delhi with their parents from a remote village in Kanpur, UP. They have been to various place in the city before being scared away by the law enforcers for being encroach-ers of their city roads and pavements. Both of them stay near the Rajiv Chowk flyover on National Highway 34. Sunny's mother worked as a construction labour before being out of job due to her ill health, his father is a daily wage labour. Gopi's father keeps ill. Sunny has 3 brothers and one elder sister and Gopi has three elder sisters. Sunny and Gopi both wants to get back to school but don't have the opportunity. Both are forced to work to support their family. While trying to help Sunny and Gopi, I went to place where they live. Around 100 families lives in Shanties by the road side in squalid conditions. 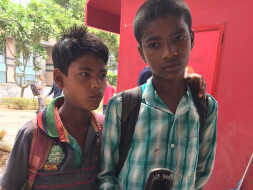 There are more than 25-30 kids like Sunny and Gopi, who works in various streets of Gurgaon. All of these kids need support to head back to school. With help of a local NGO we are trying to start a bridge education course from middle of September. Running the bridge course will cost around 20,000 per month (@800/child/month) for all these kids for next six months. The money will go for hiring a tutor, buying reading and play materials and dress, shoes for these kids. Your support counts to make them school ready and put them back into school. In my effort to help Sunny & Gopi, finally I had a helping hand from a NGO, who agreed to run regular bridge classes for these kids and look after their other requirements. The amount raised I am donating to the NGO to meet small expenses of running classes for these kids. Apologies for not keeping you posted for last couple of weeks. I had an opportunity to visit Sunny and Gopi's parents today. I wanted to do this to understand their wishes and how best your support can be used to help these families. 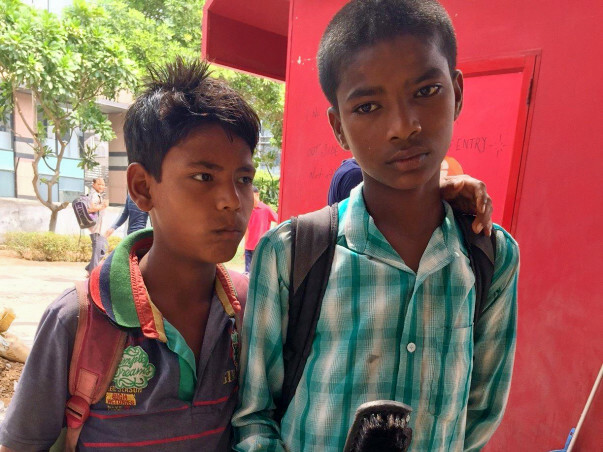 It was encouraging to hear Gopi's mother and Sunny's father both wanted their children to study, in fact, Sunny's younger siblings are attending a local government school. "It's only out of compulsion that I've to send Gopi for work, unless his father and Gopi bring some money, I can't light the stove for meals", says Gopi's mother. "Even if I wish I cannot afford the cost of schooling", says Sunny's father. For both the families, it's difficult to sustain if their kids do not earn and even bear the cost of their schooling. While familiarising with Gopi & Sunny, I befriended 6 other kids, who live in the same slum and share a similar story like both of them. 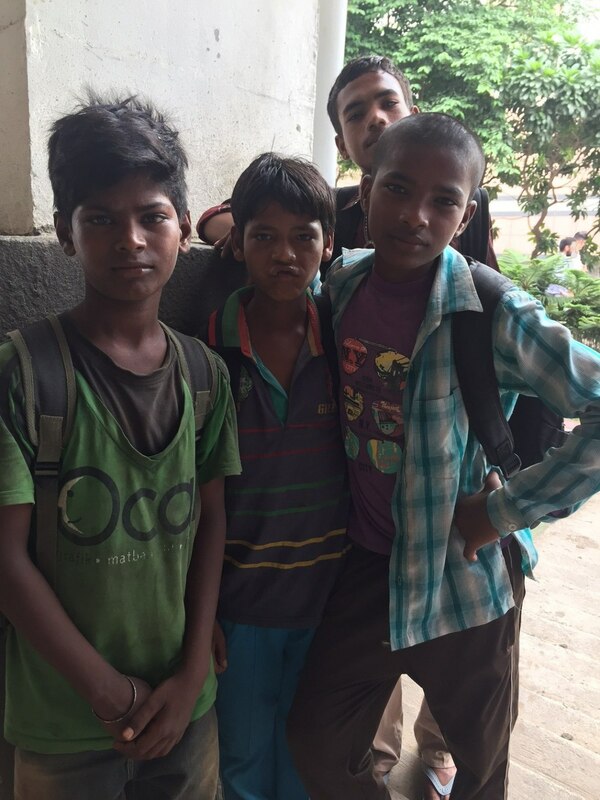 To bring these kids back into the fold of school, it is perhaps important to replace there earning with some monthly support and help them with tutoring support to make school ready. I am making efforts to see if a bank account can be opened for these kids to transfer money every month to meet their needs while they study with help of a tutor. This requires expanded support. Please help to spread a word about the campaign and also suggest what you think would be more effective to help these bright young kids. Sharing a picture that I clicked with them, hope you will enjoy meeting them virtually. Thank you so much for coming forward to help them. I met Sunny and Gopi day before and had long chat with both. Both seems to have grown comfortable with my friendship and shared a lot about their family and daily lives. It was sad to hear about one of their father being an alcoholic and persistent abuser. Sunny and Gopi introduced me to 6 of his other friends who lives in the same community and polish shoes in and around the cyber city. It was wonderful to interact with these children who sounded so mature and responsible. They promised me to take to their home and I am looking forward to it in next week. I had got few T-shirts for these children and was happy to see them enjoy wearing new clothes. I know this is not enough they need a supportive ecosystem to jump back in life, nothing can replace school for these children and I hope I am able to facilitate that for them with the support of you all. There are more Sunny and Gopi awaiting help there! So proud of u biswarup! I hope they get back to school very soon!